Garden International School IGCSE Scholarships in Malaysia, 2019 is offered for High/Secondary School degree in the field of Music, Drama, Visual arts, Sports. You can apply to this scholarship here. The deadline for the sending your application is 11 Mar 2019. This scholarship is provided by Garden International School and the value of this scholarship is Partial Funding, up to 100% reduction in Tuition + Application fees + Registrationfees . This scholarship is open for: Open to applicants of Malaysia. Garden International School offers a range of scholarships to deserving students to assist them and develop their skills. The candidates applying for IGCSE Scholarships are open to applicants of Malaysia. 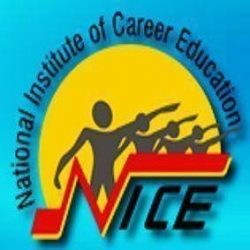 Applicants must be students who are attending public or private/international schools. Candidates should be applying for a place in Year 10 and should be around the age of 14-15 years. Applicants are expected to have academic excellence, commitment to helping others, good abstract levels of thinking and reasoning. The candidates should have highly developed collaborative skills. Arts Scholarship (Music, drama or visual arts) and Sports scholarship and the students must be applying for any one of them. Candidates should represent outstanding technical proficiency in their chosen subject. Candidates applying for Sports scholarship need to exhibit outstanding personal attitude, enthusiasm, sportsmanship and teamwork skills. The applicants for IGCSE Scholarships should submit a completely filled application form. A personal statement should be attached which should include the strengths and abilities of the candidate and also the evidence that he/she meet the selection criteria. Academic achievements and full details of all the schools that the candidate attended should be mentioned. School certificates and reports from the last two years. Letter of reference from Principal/Class teacher at the current school should be attached. Up to 100% tuition fee waiver. Application fee waiver worth RM 1,300. Registration fee waiver worth RM 20,000. The last date to apply for Garden International School IGCSE Scholarships in Malaysia, 2019 is 11th March 2019. 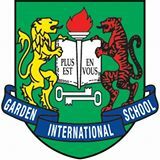 Garden International School (abbreviated GIS) is located in Mont Kiara, a residential area of Kuala Lumpur, Malaysia with a branch campus in Kuantan, Pahang. 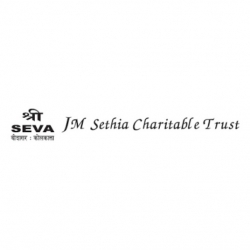 It is one of the largest private, co-educational schools in South East Asia. GIS offers the British National Curriculum across four major age groups: foundation years, primary education, secondary education and sixth form. Do you know about Garden International School? Yes, you can secure an education loan to study abroad at Garden International School. Education loans are of two types- Collateral and non collateral. Collateral includes either: Immovable property – a house or a flat or land (or) liquid security – an FD, or LIC or shares or bonds. Agricultural lands are not accepted by any bank for education loan. When is the deadline of Garden International School IGCSE Scholarships in Malaysia, 2019? For which degree is Garden International School IGCSE Scholarships in Malaysia, 2019 offered for? For which field is Garden International School IGCSE Scholarships in Malaysia, 2019 offered for? Who can apply for Garden International School IGCSE Scholarships in Malaysia, 2019? Who is offering Garden International School IGCSE Scholarships in Malaysia, 2019? What is the funding covered in Garden International School IGCSE Scholarships in Malaysia, 2019? Where can Garden International School IGCSE Scholarships in Malaysia, 2019 can be taken at? What are the other best scholarships at Garden International School? What are the other High/Secondary School scholarships in Garden International School?